Because this month is about pinking out for breast cancer awareness, this week we are bringing you a yummy pink Jell-O shot! And, as always, drink responsibly! NEVER, ever drink and drive!! 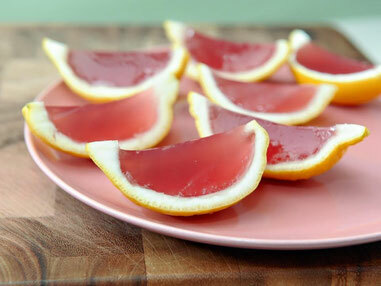 Heat the pink lemonade and gelatin the remove from stove and add vodka. Pour into lemon skins and chill. Slice and enjoy.